At Pont Steffan our patients are quite often looking for a way to improve the appearance of their smile by making it straighter. Fixed braces are becoming more and more popular with adults, so if you're looking to improve your smile for your wedding day or just to be able to smile more confidently. 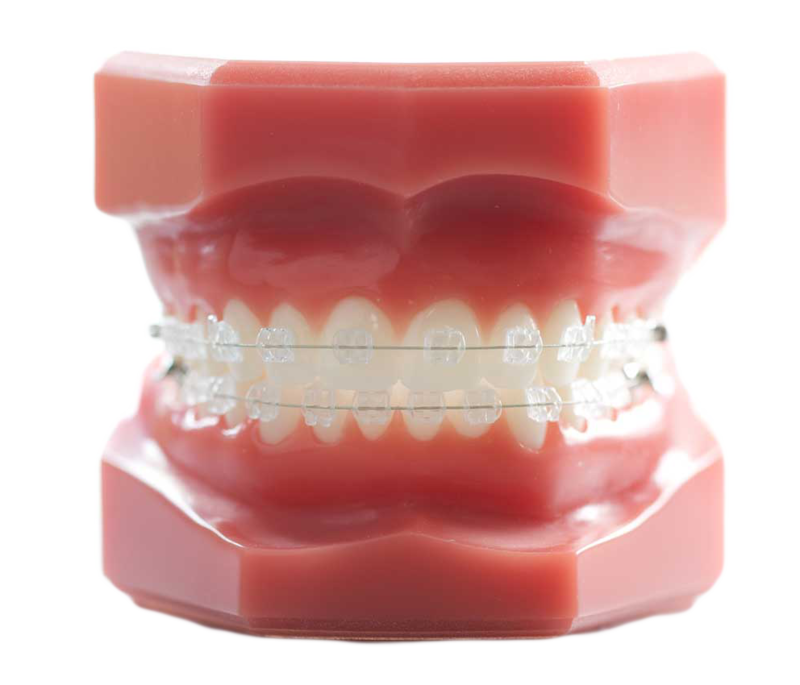 We can help in a discreet way by using the Simply Smile® fixed brace orthodontic system, which is specifically designed to straighten your front six teeth instead of the back ones. This significantly speeds up the overall treatment time compared to traditional orthodontics. Braces at Pont Steffan are fitted by our Principal dentist Dr Owain Dimmick. Why Should I Have Orthodontic Treatment? Many people are unhappy with their smile, whether they have crooked, crowded or gaps between teeth. Orthodontic treatment can address all these issues and straighten your teeth into a better position. Overall this will improve the appearance but also make them easier to clean properly. Simply Smile orthodontics as you may be able to see are made of clear ceramic brackets and also a clear wire. This makes them very discreet, which makes them ideal if you don't want to bring attention to your orthodontic treatment. The ceramic brackets make for a much more resilient material, which means they are less likely to damage during treatment. The price of one arch (top or bottom teeth) is £1,950 where as both arches is £2,950. For information on our 0% finance plans, please visit our Fees page. If you have any questions or need more information please don't hesitate to contact us. You can do so by giving us a phone call or using our online enquiry form below. Will my teeth stay straight? After your brace is taken off, we recommend that you wear a retainer. This is because it is normal for minor tooth movements to happen throughout life. Don't worry though because it is very unusual for teeth to alter enough to need more treatment. Will I need teeth removed? This is dependant on many variant factors. You might need some teeth taken out to make space but we will always discuss this with you before any treatment commences. You will have to have a full examination with our dentist. This will involve looking at your teeth, taking x-rays and then taking some plaster-models of your teeth. Do I need to be a certain age? The fitting of the braces is totally painless. It is totally normal to feel some discomfort following the fitting of the braces and wire and then for wire adjustments. As we are only improving your front six teeth and not fixing your back teeth, the final result can be achieved much quicker than traditional orthodontics. This varies from patient to patient and it may take anything from a few months to two years.